Australia wide - 104 profile(s). Looking for a climbing partner in the shire area to do some indoor climbing when the new Kirrawee centre opens in November and progress to outdoors. I have some experience leading on rock and have the majority of a trad rack. Open to discussion on availability. Got into climbing mid-2018, and have developed a passion for it. Currently live and train in the Gold Coast. Very interested in going on climbing adventures and tours, and looking for someone with experience to show me the ropes, so to speak. Holiday periods and weekends are ideal times for me. Keen learner, keen to get stronger and open to adventure. After returning from hiking the Himalayas, I’ve found myself getting into indoor climbing. I’m currently doing 19/20‘s at north walls in Brunswick. Im available anytime every day at the moment. 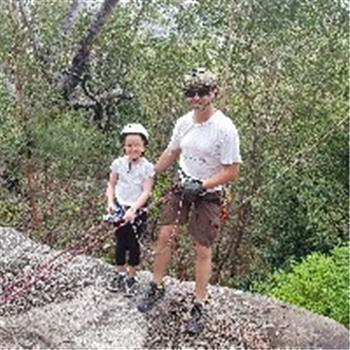 Looking for a rock-climbing buddy! I'm a newbie- have literally just started climbing but am super keen to learn and progress. Hoping to climb at least 3 times a week in Penrith with a view to eventually heading outdoors. Available most nights. Hi, my name is Peter and I move from Germany to Melbourne in Oktober. At the moment I work as a climbing coach. I want to find many new and cool people for bouldering and climbing. Keen to get into rock climbing on a regular basis, evenings and weekends. I’m looking to go to indoor rock climbing gyms in city surrounds at the moment. Let me know if you’re interested!